With summer-like weather having arrived, this Memorial Day weekend promises to bring massive crowds of people to the region’s beaches, but there will also be other much more quiet and vulnerable visitors on the sand as recently weaned harbor seal pups will naïvely come ashore to rest on busy beaches that have been largely empty during most of their brief lives. to rest on a rocky shores, seaweed mats or gravelly beaches. These incredibly beautiful young animals often draw a concerned and well-meaning crowd. But, ironically, close human presence will cause massive stress in these pups that badly need their rest and are struggling to survive. This first unofficial weekend of the summer, the New England Aquarium is asking for the public’s help in protecting these seals from unintended and unnecessary human harassment. The number one rule is that people and their pets should stay 150 feet away from any seal. Adult seals are experienced enough to not haul out and rest in prominent public locations. 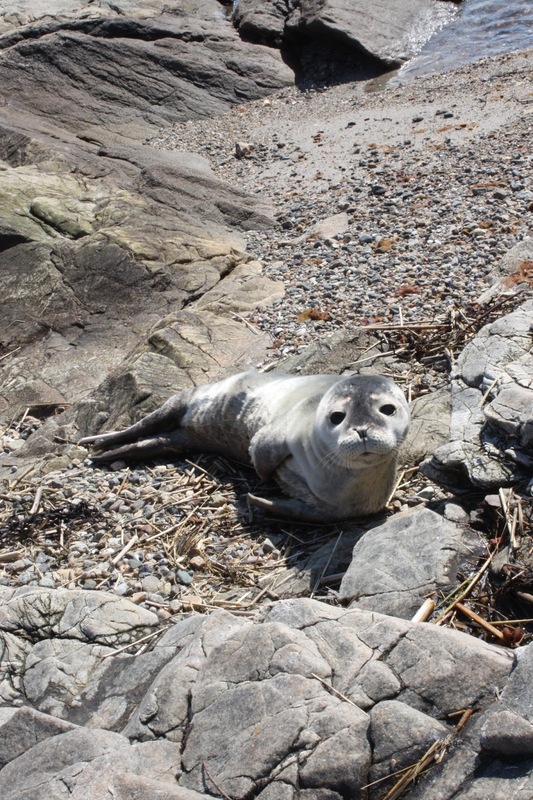 However, the end of May holiday weekend coincides with when many harbor seal pups are weaned and cut loose by their mothers. 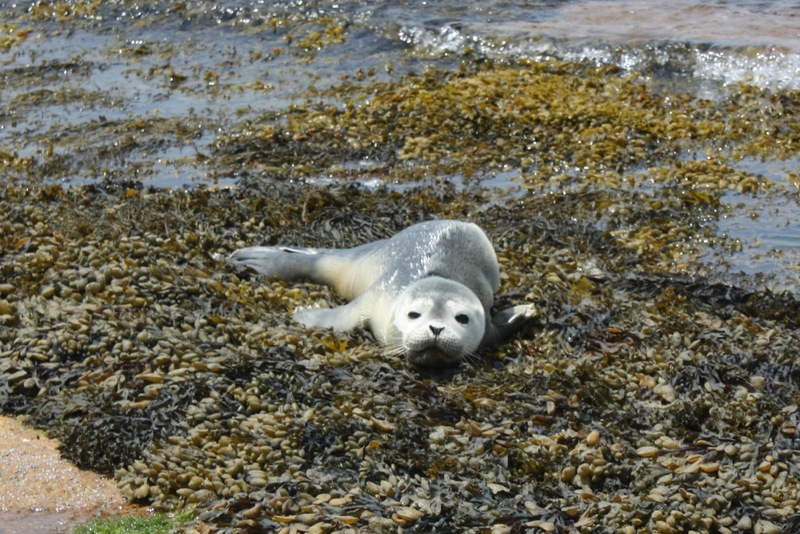 Other later born pups that are still nursing are hidden on beaches while their mothers are off foraging. If people are around the youngster, the mother will not come ashore to retrieve it. These completely inexperienced and naïve juveniles might have used a particular beach as a resting or hiding spot over the past week only to find it transformed and invaded overnight by humans for this three day warm weather celebration. Come next Tuesday, that same resting spot will be a good choice for that pup, but the seal world has yet to get dialed into Microsoft or Google calendars! These irresistibly cute pups need their space. That is why we need the public’s aid in helping to protect these vulnerable seal pups as they learn the ropes. Maintaining a quiet, large perimeter around the seal pup is the top priority. Watching a seal pup from a safe distance is likely to be the highlight of anyone’s weekend. Explaining to other beach-goers what is going on is helpful. If there are lifeguards or other staff on the beach, notify them as they might be able to set up a do not cross line. In this era of social media, if someone is taking a selfie or a picture of their kids near a seal on a beach, they are breaking the law and are potentially contributing to the demise of these magnificent creatures. Great selfies with seals are available 24/7 at no cost at the Aquarium’s raised harbor seal exhibit on its front plaza in downtown Boston. Harbor seal pups need rest. 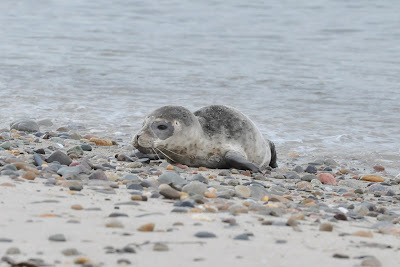 The overwhelming majority of seal pups on the beach are doing OK, if left alone. If the animal has obvious injury, signs of ill health, or a crowd of people who refuse to disperse, contact your local police department or animal control officer. They can then contact the marine animal rescue group in your region. A last resort for marine animal rescue groups is to move the seal pup to a quieter location, but that exercise is also inherently stressful to the animal and not preferred. By later in the summer, most of these seal pups will know better. In the meantime, learning how to share the beach appropriately is a better option that will enrich the lives of both people and seal pups. Celebrate World Oceans Day with the Aquarium!